Guinea pigs are lovely little pets, but there are few books that thoroughly cover their care. The books listed here all cover guinea pig care well, but our knowledge of the proper care of guinea pigs is evolving quickly so some may contain incorrect tidbits of information, especially pertaining to cage size (the larger the better) and bedding (i.e. avoid cedar shavings). "The Proper Care of Guinea Pigs"
This book about guinea pigs comes from Peter Gurney, who is a well known and respected guinea pig expert. At over 250 pages, and illustrated with full-color photos, this is a comprehensive book on guinea pig care, and the author's enthusiasm for guinea pigs and knowledge of their care are readily apparent. "The Really Useful Guinea Pig Guide"
Myra Mahoney wrote this short book (48 pages only) based on more than 30 years as a guinea pig owners. While the basics of care are covered, the book stands out for its coverage of understanding your guinea pig's language. Amusing illustrations accompany the text. 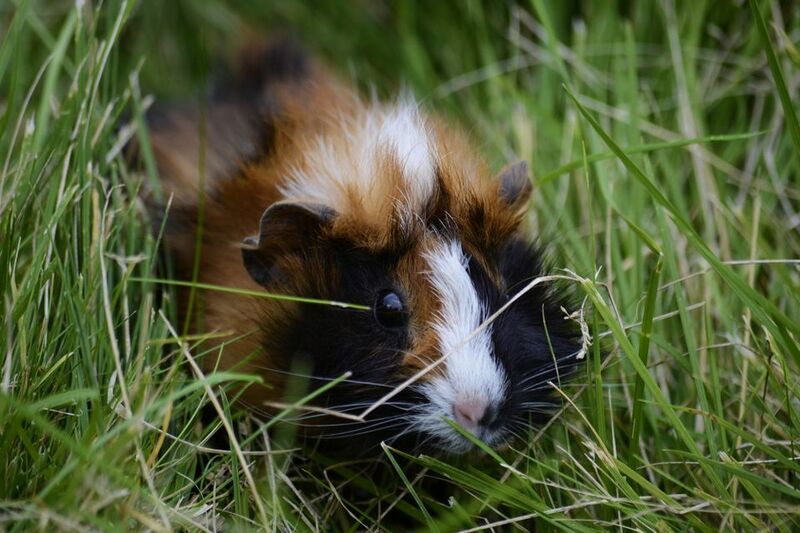 "A Grown-Up's Guide to Guinea Pigs"
By Dale L. Sigler. The odd title is a reference to the fact that parents often end up caring for their kids' pets. Written in a fun and conversational tone, the book covers the basics of caring for guinea pigs well. "Guinea Pigs : A Complete Pet Owner's Manual"
From the Barron's Complete Pet Owner's Manuals Series, by Katrin Behrend (translated by Helgard Niewisch, this inexpensive book would be a worthwhile addition to the library of any guinea pig owner. As with other books in the series, there is a section on understanding guinea pig behavior. "ASPCA Pet Care Guides for Kids: Guinea Pigs"
By Mark Evans (foreword by Roger Caras), this book is probably too simplistic for adults, but a good choice for children with guinea pigs. It covers the basics of their care quite well, in easy to understand language with lots of photos and eye-catching color. Does Your Guinea Pig Have Lice? Do You Have an Appropriate Cage for Your Guinea Pig? What Is Your Guinea Pig Trying to Tell You?